I just returned from Melbourne after a two week stay, which is a deliciously long time. I have a big year ahead of me and thought this might be my last long holiday before this year’s projects boot off. But after a few days there, I almost forgot about my other projects and wanted to stay in Melbourne forever. There is a chill vibe in Melbourne that, combined with the sun and gorgeous food, lulled me into submission. The city teems with restaurants serving beautiful, lowkey, produce-driven food, small local designers with the best graphic designers especially, and the cutest terrace houses with intricate, lacey ironwork adorning the fronts. Drive an hour from the city in one direction and you’re at gorgeous surf beaches. In another direction, you’re in the countryside that remarkably has hipster country villages with independent movie theatres, the best coffee and the clearest views of the Milky Way. Drive in yet another direction for an hour and you’re in the rolling hills and vast pastoral expanse of the Yarra Valley wine region. And Melbourne still has bookstores – I had almost forgotten what those were until my trip here. I spent a lot of time browsing the shelves of Melbourne's independent bookstores pretending I was a student again. Melbourne is a city like no other. Now I’m scheming how to get a project here so I can come back again and again until maybe I never leave at all. Here’s a list of some of my favourite spots so far. Since I was in Melbourne over the Christmas and New Year holidays, a lot of places on my wishlist were shut so there are some gaps here. I’ll just have to try them on my next visit! Gigantic hugs and thanks to my loves, Jade and Roger Ouk, for hosting me and putting so much thought and time into an itinerary of things they knew I would love! They know me so well... And thank you also to my other dear friends in Melbourne, Tony Tan (author of Hong Kong Food City), Jason Reason (of Hammer & Needle), Susan Jeske, Peter Jo (of upcoming Korean restaurant Shik) for making me love you and Melbourne even more! Cumulus (45 Flinders Lane, CBD) – One of my favourite restaurants in the world. Where I could imagine having breakfast, lunch or dinner several times a week if I lived in Melbourne. Opened 10 years ago by restaurateur extraordinaire Andrew McConnell, I am in awe as to how he has created something that's as relevant and delicious today. 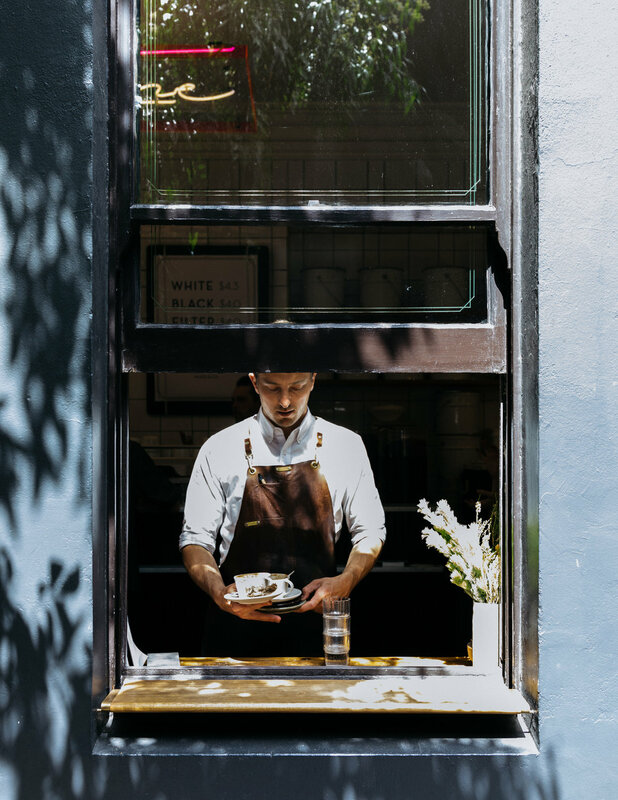 Cutler & Co. (55/57 Gertrude Street, Fitzroy) – Swanky and delicious without pretension , kitchen helmed by Chef Chris Watson. Perfect for a relaxed but special night out. Where I first sampled wines from Athletes of Wine - best winery name ever. Embla (122 Russell Street, CBD)– Great wine bar with solid sharing plates. Order their charcuterie board and spread their spicy 'nduja on all the bread. Higher Ground (650 Little Bourke Street, CBD) – The coffee shop to end all coffee shops. Set in a vast warehouse space with various mezzanines, you have incredible flat whites along with the prettiest ricotta hotcakes you’ve ever seen. Kettle Black (50 Albert Road, South Melbourne) – The smaller sister coffee shop to Higher Ground, fresh decor and flooded with sunlight. 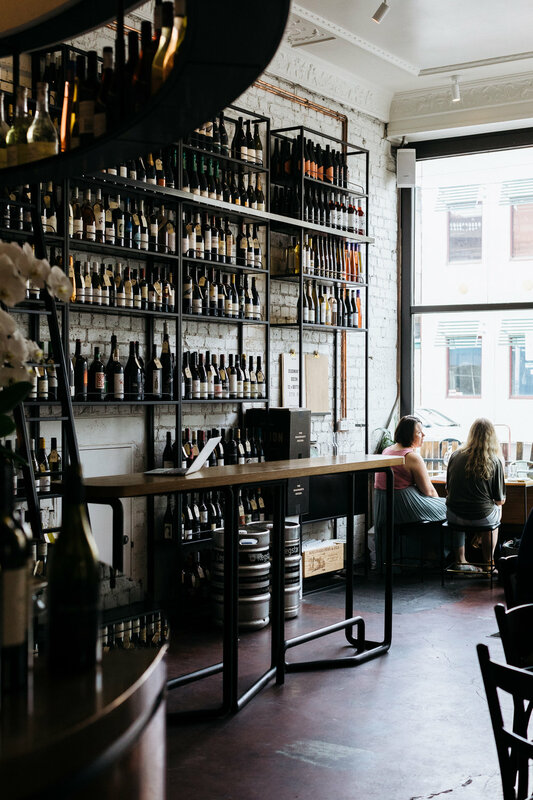 Marion (53 Gertrude Street, Fitzroy) – The perfect wine bar by Andrew McConnell. Is it weird to say that I loved their terrazzo kitchen counters as much as their seasonal sharing plates? Shandong Mama (Mid City Arcade, Shop 7, 200 Bourke Street, CBD) – I loved the zucchini dumplings (vegetarian!) and the mackerel balls in soup – the fluffiest, airiest fish balls I’ve ever had. Vegie Bar (380 Brunswick Street, Fitzroy) – Longstanding lively vegetarian café with yummy gluten-free, dairy-free pizzas. Hooray for macadamia nut cheese. Their more formal vegan restaurant, Transformer, and their vegan gelateria, Girls and Boys, are next door. Most of their gelato is made with a combination of soy and coconut milks, avoiding the danger of all their ice creams tasting like coconut. Piccolini Gelateria (296 Smith Street, Collingwood) – Bizarrely huge space in Collingwood with super stylised decor with a brick wall covered in washes of pastels. The revolving cake display was mesmerising, and the staff were super nice. 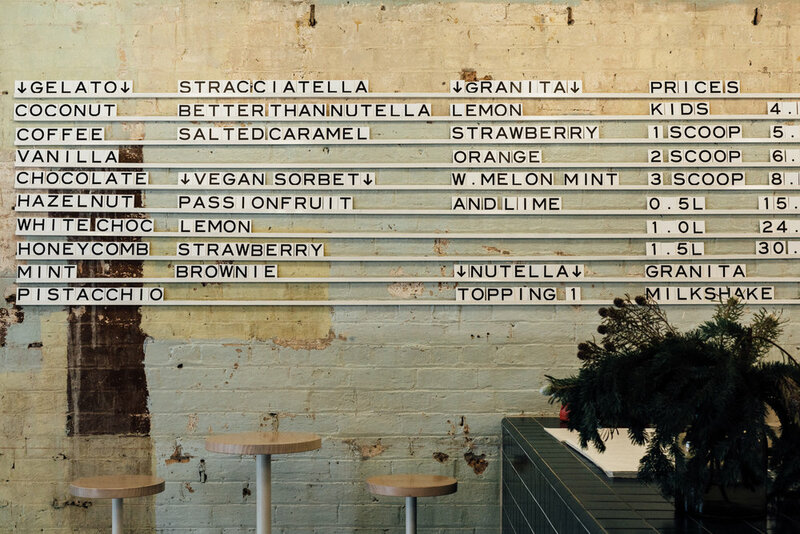 Gelato Messina (237 Smith Street, Fitzroy) - Gelato king in Australia. I had two scoops which I would gladly have again while walking down Smith Street: the pandan and coconut sorbet and the pistachio praline (fior di latte gelato with white chocolate and pistachio fudge and pistachio praline). Lune (119 Rose Street, Fitzroy) – So this was one of the shops that was closed while I was in Melbourne. That didn't stop me from hanging out outside their entrance, hoping that they would miraculously open and pop one of their famously flaky croissants into my hands. Pho Hung Vuong (28 Hopkins Street, Footscray) – Footscray is the epicentre of Melbourne’s Vietnamese and African communities. The soul-satisfying pho at this no-nonsense joint conveniently comes in three sizes. The small size was big enough for me, and was so tasty I was inspired to make my own pho broth (which I am doing exactly at this moment). Definitely wander around Footscray to see all the Vietnamese bakeries and banh mi shops and stop at one of the Ethiopian bakeries for fresh injera bread. Patricia Coffee (corner of Little Bourke Street and Little William Street, CBD) – A mash-up of old-school Italian espresso bar and hipster perfection with a neon Patricia sign jetting across the ceiling. Chez Dre (Rear of 285-287 Coventry Street, South Melbourne) – A bustling patisserie and café down a little alley near the South Melbourne Market. One of the many places I saw and fell in love with with cavernous warehouse spaces and outdoor seating in the sun, two things which are hard to come by in Hong Kong. Happy Valley (294 Smith Street, Collingwood) – Maybe my favourite store in all of Melbourne. 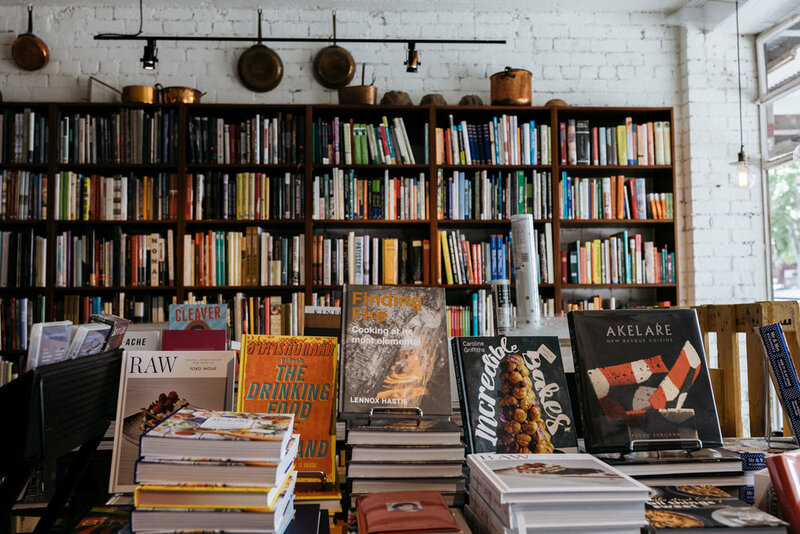 It’s a bookstore with all the books and magazines I would want to buy, from the new coffee table book on surf shacks to the new issue of Apartamento magazine. But it's much more than a bookstore - they also sell vinyls in the back and locally designed irresistible knick knacks, jewelry and homeware. Perfect for gifts and losing an entire afternoon browsing. Books for Cooks (129-131 Therry St, Queen Victoria Market) – A huge selection of vintage and new cookbooks, and I could spend days browsing their shelves. They have stacks and stacks of Asian cookbooks! They’ll be moving from their location next to the Queen Victoria Market sometime so keep posted. 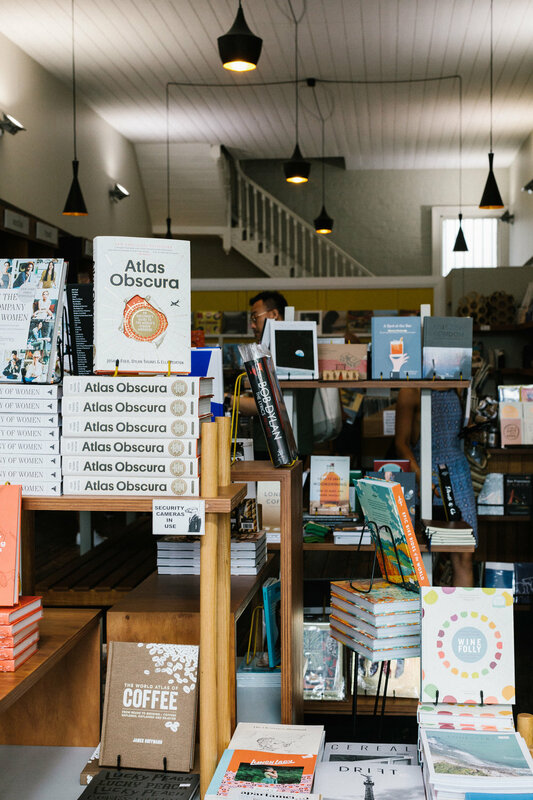 The Sun Bookshop (10 Ballarat Street, Yarraville) – Set in the retro Sun Theatre in Yarraville, this tiny bookshop is smartly curated, plus the theatre is just so adorable. China Books (234 Swanston Street, CBD) – Half of the store carries books on Traditional Chinese Medicine as well as herbs and TCM equipment (such as acupuncture needles). For the serious TCM practitioner, which I am not, but I still loved checking out all the resources with my friend Jade, who is. Smith Street Bazaar (305 Smith Street, Fitzroy) – Vintage mid-century furniture and designs, lovely staff. 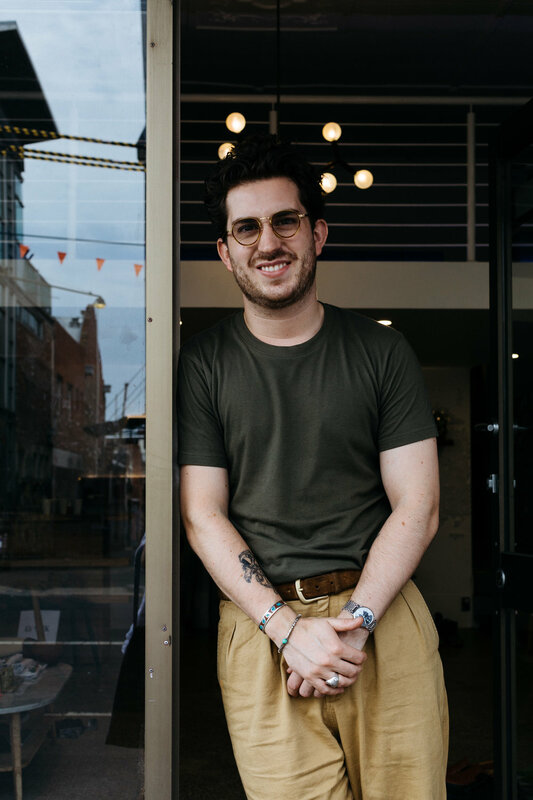 Christian Kimber (64 Johnston Street, Fitzroy) – London-born designer Christian Kimber is the sweetest and designs fantastic Italian leather shoes, as well as stylish clothes with well-thought-out details. My friend JJ picked up his signature t-shirt emblazoned with "Melburnian" which Christian had made 100 percent in Melbourne to support the disappearing local garment industry. Modern Times (311 Smith Street, Fitzroy) – A huge vintage mid-century furniture emporium with art and designs by local artists as well. There are so many fun vintage furniture and design shops in Fitzroy and Collingwood, it was a dream! Handsom (163 Gertrude Street, Fitzroy) – Locally designed, beachy vibes with clean lines, for men and women. Their tag line is “We make nice clothes.” And they do. Slow Food Market (St Heliers St, Abbotsford Convent, Abbotsford) – Organised by the Slow Food organisation in Melbourne, you can find rare fresh white mulberries, giant avocados for AUS$1 each and chai teas with soy milk from a man with a fancy moustache. In the paddock near the convent, there are usually even more farmers and local organic produce. The Essential Ingredient (266 Coventry STreet, Prahran) – Gourmet cookware and posh and exotic pantry goods, with a cooking school to boot. Heide Museum of Modern Art (7 Templestowe Road, Bulleen) - The Heide Museum is just outside the city proper and reminds me of the Louisiana Museum in Copenhagen - thoughtful exhibitions set in a stunning landscape. Australia Centre for Contemporary Art (ACCA) (111 Sturt Street, Southbank) – A relatively small space typically showing a well-curated, progressive main exhibition. I discovered my new favourite Australian artist, Eugenia Lim, whose work in the current feminism show was deeply moving. 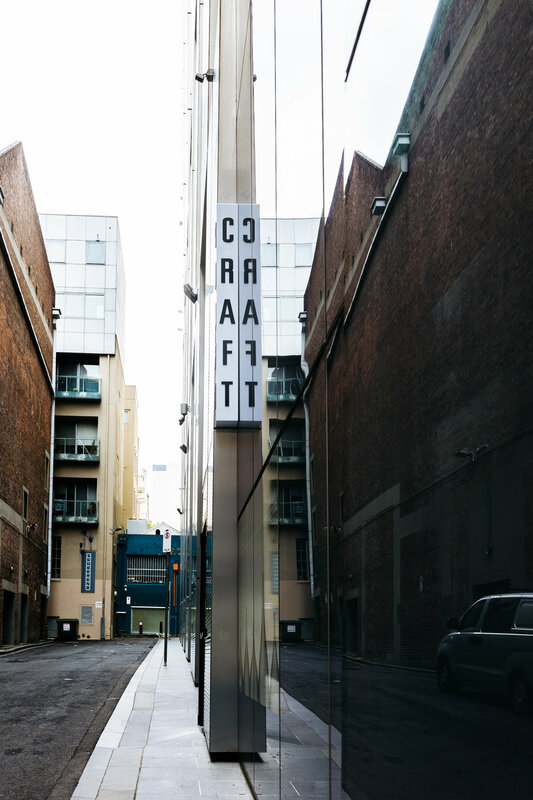 Craft Victoria (Watson Place, CBD) - Craft Vic is an arts organisation dedicated to promoting the artisans and craftspeople of Victoria. They always have an array of local ceramics artists on display, and I am lucky enough to have been gifted a beautiful set of ceramic teacups from here. A perfect place to find a unique gift and learn more about the craft traditions and future of the region. National Gallery of Victoria (NGV) (180 St Kilda Road) - Apparently the most-visited public museum Australia, the NGV is a must-see with a vast space with extensive programming. Their gift shops features a lot of beautiful designs by artists and craftspeople from Victoria. Tarrawarra Museum of Art (311 Healesville-Yarra Glen Rd, Tarrawarra) – Set in the rolling hills of the Yarra Valley with a lake lined with weeping willows and vineyards, well worth a visit if you’re in the wine region. Highly recommend visiting the exhibition then going outside, taking your shoes off and rolling around the grass. Yarra Valley – Bask in the glory of the views of the Yarra Valley as you drive around. Then check out a few of the Yarra Valley’s famous wineries such as Yarra Yering, dine at Oak Ridge or the Healesville Hotel, visit the Tarrawarra Museum of Art (above). Wander the little village of Healesville and do wine tastings of Mac Forbes organic wines at Grace Burn Wine Room and buy local cheeses and housemade meats at Kitchen & Butcher. Great Ocean Road – Drive down for the views and stop at the various surfside towns along the way. Sit on the porch and grab a Mediterranean bite at A la Grecque in Aireys Inlet, with the fatherly Greek owner bustling around to make sure you're well taken care of, or visit his son's restaurant in Lorne, Ipsos. Stop by the the wide beaches of Torquay and stock up on your green juice and all-natural, organic goods at Surfcoast Wholefoods. Towns of Castlemaine and Kyneton – Northwest of Melbourne, there are a series of country towns that in the summer are baking hot and feel like the American Wild West. I expected to find saloons in these towns, and instead found progressive bookstores, the hipster indie movie theatre Theatre Royal with a proper Australian coffeeshop in Castlemaine and a gourmet warehouse in Kyneton (Duck Duck Goose & Larder).